By Keith Cowing on September 30, 2014 6:56 PM. "Sierra Nevada Corporation (SNC) today announced a design for an integrated system for human spaceflight that can be launched to low Earth orbit (LEO) using Stratolaunch System's air launch architecture and a scale version of SNC's Dream Chaser(R) spacecraft." By Marc Boucher on September 26, 2014 10:23 AM. "On the heels of awarding groundbreaking contracts to U.S. commercial space companies to ferry American astronauts to the International Space Station, NASA has released a request for proposals (RFP) for the next round of contracts for private-sector companies to deliver experiments and supplies to the orbiting laboratory." By Keith Cowing on September 25, 2014 10:34 PM. "The Soyuz TMA-14M spacecraft docked to the International Space Station at 10:11 p.m. EDT while flying over the Pacific Ocean. Expedition 41 Commander Max Suraev of the Russian Federal Space Agency (Roscosmos) and Flight Engineers Reid Wiseman of NASA and Alexander Gerst of the European Space Agency will welcome Soyuz crew. Coverage of hatch opening begins on NASA TV at 11:30 p.m. EDT." Continue reading Soyuz Arrives at Space Station - Both Solar Panels Now Deployed. By Keith Cowing on September 25, 2014 3:20 PM. "This wind tunnel no longer exists, and very little remains as historic artifacts available to the public from this remarkable tunnel. You are buying a true piece of aviation and aeronautic history. Most of these fan blades were re-purposed by NASA and used as tributes to the historic tunnel. Now you can have the same in your museum or board room." @NASAWatch Checking on your question - will get back to you. By Marc Boucher on September 25, 2014 11:10 AM. "Having lost out to Boeing and SpaceX for the lucrative Commercial Crew Program contract, Sierra Nevada's Mark Sirangelo told the Denver Post the companies plans to go forward with development of the spacecraft and bid on future contracts." India's Mars Orbiter: Does "Faster, Better, Cheaper" Work? By Keith Cowing on September 25, 2014 9:28 AM. "India's Mars Orbiter Spacecraft has captured its first image of Mars. The image was taken from a height of 7300 km; with 376 m spatial resolution. Another image shows the limb of Mars." "By comparison, India's $72 million Mars orbiter is the cheapest interplanetary mission ever. [Indian Prime Minister] Modi said that India's Mars mission cost less than what it took to make the famous Hollywood space movie "Gravity." "We kept it low cost, high technology. That is the Indian way of working," Sandip Bhattacharya, assistant director of B.M. Birla Planetarium in the northern city of Jaipur, said in a telephone interview. " ... "
"In a rapid turnaround, the ISRO worked at breakneck speed to engineer, assemble and launch the Mars Orbiter. By November 2013, it launched from Chennai and 10 months later, it reached Mars' orbit to inspire a nation. From announcement to execution, the Mars mission took India's space agency two years and one month." "So how has India done it? For sure, people costs are less in this populous nation, and the scientists and engineers working on any space mission are always the largest part of the ticket price. Home-grown components and technologies have also been prioritised over expensive foreign imports. But, in addition, India has been careful to do things simply." By Marc Boucher on September 24, 2014 9:39 AM. "NASA's Emerging Space Office (ESO), part of NASA's Office of the Chief Technologist, has released a new report "The Evolving Landscape of 21st Century American Spaceflight." According to NASA the "report provides an introduction and overview to the emerging space ecosystem and American private-sector space activities." By Keith Cowing on September 23, 2014 11:06 PM. "I wish I could understand what would possess someone so committed to space exploration to say such ugly things about the moon," NASA Associate Administrator Robert Lightfoot said, adding that he was shocked and appalled when he read Bolden's wish that the moon would "just wane itself out of existence." "But his comments were clearly inexcusable. Unfortunately, I think his resignation was the only way for NASA, and for Charles himself, to move forward." By Keith Cowing on September 23, 2014 10:51 PM. "India successfully placed its Mars Orbiter Mission spacecraft into orbit around Mars this evening - and in so doing it became the first nation to put something into Mars orbit on its very first attempt." By Keith Cowing on September 23, 2014 8:19 PM. "The ruthlessness of Musk and SpaceX bend toward a singular goal, to drive down the cost of access to space. And it's working. NASA paid SpaceX a relative pittance, less than $400 million, for the Falcon 9 rocket and Dragon spacecraft that's now supplying the space station. NASA estimated it would have cost the space agency four to 10 times as much to do the same thing. Musk is also building a massive rocket, the Falcon 9 Heavy, which could fly three years earlier than the heavy lift rocket NASA is building, the Space Launch System, and may deliver cargo to orbit at a tenth of the cost. For Musk, however, these are just baby steps. He, too, wants to build reusable rockets. "What SpaceX has done so far is evolutionary, but not revolutionary," Musk said earlier this year." By Marc Boucher on September 22, 2014 5:52 PM. "Today SpaceX broke ground for the development of their new Texas spaceport at Boca Chica Beach. Along with CEO Elon Musk, Texas Governor Rick Perry and other dignitaries were in attendance." Video of the event has been added. By Keith Cowing on September 22, 2014 8:12 AM. "NASA's Mars Atmosphere and Volatile Evolution (MAVEN) spacecraft successfully entered Mars' orbit at 10:24 p.m. EDT Sunday, Sept. 21, where it now will prepare to study the Red Planet's upper atmosphere as never done before. MAVEN is the first spacecraft dedicated to exploring the tenuous upper atmosphere of Mars." By Marc Boucher on September 21, 2014 8:03 AM. "The spacecraft's 2.5 tons of supplies, science experiments, and technology demonstrations includes critical materials to support 255 science and research investigations that will occur onboard the station." Includes the post-launch briefing news conference. By Keith Cowing on September 19, 2014 9:09 AM. "Boeing and SpaceX both have new displays standard on every model. But Keith Cowing says there is a difference in the way they look. The Boeing one does harken back to Apollo," he says. "The SpaceX one, I've been in there, and it's got a sci-fi vibe to it." SpaceX does look sleeker, and it'd be his first choice. But honestly? He'd fly in either one, if it meant going to space." "The largest contract in a program designed to boost competition within the commercial space industry went to Boeing -- the gigantic, heavily subsidized government contractor with a history of huge cost overruns. Although SpaceX did win a smaller prize of its own, the fact that the old incumbent is getting a contract to provide services to the space station is going to limit the promise of America's commercial space industry." By Keith Cowing on September 18, 2014 10:00 PM. "In addition, while utilization of the ISS for research continues to increase, NASA and its partner responsible for attracting private research to the Station -- the Center for the Advancement of Science in Space (CASIS) -- continue to face challenges. 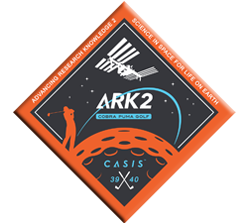 For example, to date CASIS has raised only $14,550 in cash and received pledges of $8.2 million to supplement NASA's $15 million annual cooperative agreement. In addition, CASIS officials reported that provisions in its agreement with NASA that require researchers to assign certain patent licenses and data rights to the Government are deterring commercial stakeholders from conducting research on the ISS. " "This is not research on a golf club," said Duane Ratliff, CASIS chief operating officer. "This is industrial research and development on materials that is clearly targeted for the improvement of products that will go to the marketplace. ... Ratliff likely spoke for most of them when he joked, "Honestly, I'm hoping that whatever comes out of this will straighten out my slice." "Through this investigation, the research and design team at COBRA PUMA GOLF hopes to gain a better understanding of certain material characteristics that can be used to create some of the most innovative and technologically advanced golf products in the market." Keith's note: OK Duane - if this is not "golf club" research, then what other "golf products" are you doing research on? Why hasn't the past 2 years of CASIS-sponsored golf research on ISS yielded any published results or status reports from CASIS? 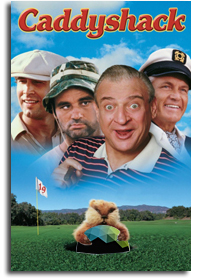 As for your attempts to downplay the golfing aspect of what you are doing - your logo for these payloads clearly emphasizes golf over everything else. As for the IG's report, "$14,550 in cash"? I have to wonder what a "pledge" actually entails - obviously not much in terms of actual cash. CASIS is clearly falling well short of where NASA - and everyone else - expected CASIS to be at this point. Baseball raffles and golf-themed co-branding do not a vibrant ISS research program make. By Keith Cowing on September 18, 2014 12:30 PM. "Specifically, the ISS faces a risk of insufficient power generation due in part to faster-than-expected degradation of its solar arrays. Second, although most replacement parts have proven more reliable than expected, sudden failures of key hardware have occurred requiring unplanned space walks for repair or replacement. Third, with the retirement of the Space Shuttle fleet NASA has a limited capacity to transport several large replacement parts to the Station should they be needed. While the ISS Program is actively working to mitigate these risks, anticipating the correct amount of replacement parts and transporting them to the ISS present major challenges to extending Station operations 10 or more years beyond its original expected service life. The OIG also found the assumptions underlying the Agency's budget projections for the ISS are overly optimistic and that its actual costs may be higher. NASA projects its annual budget for the ISS Program to grow from $3 billion in fiscal year (FY) 2014 to nearly $4 billion by FY 2020. However, ISS Program costs rose 26 percent between FYs 2011 and 2013 and an average of 8 percent annually over the life of the program. Moreover, much of the projected cost increase is attributable to higher transportation costs, and the OIG found unrealistic NASA's current transportation estimates." By Marc Boucher on September 17, 2014 1:27 PM. "United Launch Alliance (ULA), the nation's premier space launch company, and Blue Origin, LLC, a privately-funded aerospace company owned by Amazon.com founder Jeff Bezos, announced today that they have entered into an agreement to jointly fund development of the new BE-4 rocket engine by Blue Origin. This new collaboration will allow ULA to maintain the heritage, success and reliability of its rocket families - Atlas and Delta - while addressing the long-term need for a new domestic engine. 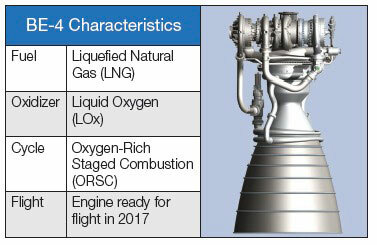 "The BE-4 is a liquid oxygen, liquefied natural gas (LNG) rocket engine that delivers 550,000-lbf of thrust at sea level. Two BE-4s will power each ULA booster, providing 1,100,000-lbf thrust at liftoff. " Marc's Update: I've added the video of the news conference to the press release. "Blue Origin LLC, the space-exploration startup Mr. Bezos has been quietly toiling over for years, is part of a team led by Boeing Co. that is expected to soon garner a NASA contract to ferry astronauts to and from the international space station, according to people familiar with the matter. The role played in Boeing's bid by Washington-state based Blue Origin, which describes its goal as "developing technologies to enable private human access to space at dramatically lower cost and increased reliability," hasn't been disclosed previously." Keith's note: When I asked today if Blue Origin had been part of Boeing's commercial crew proposal team (one that would use a United Launch Alliance rocket), ULA CEO Tory Bruno said "No". He went on to say that their bid used existing engine capabilities. Blue Origin Founder Jeff Bezos added later that yesterday's NASA commercial crew announcement and today's engine announcement were totally separate and unrelated. By Keith Cowing on September 17, 2014 8:26 AM. "It also is not yet known whether Congress will appropriate enough money to fund the development of two spacecraft or whether NASA will be forced to down select to a single provider at some point down the road. But Bolden said he was confident Congress will provide the funding necessary to keep SpaceX and Boeing on track for maiden flights in the 2017 timeframe. Congress has appropriated about $2 billion for the commercial crew program since 2011, about a billion dollars less than NASA requested. 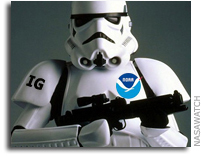 The agency hopes to get around $800 million for the program in its fiscal 2015 budget." "NASA officials declined to discuss in detail why they selected Boeing and SpaceX while passing on the Dream Chaser, but said it was a close call. "This wasn't an easy choice, but it's the best choice for NASA and the nation," Bolden said. Lueders said the different amounts set aside for the two companies were based on the amounts proposed by the companies themselves. "Both Boeing and SpaceX proposed to the same set of requirements," she said. 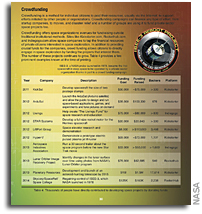 "NASA awarded the contracts based on their proposals. It's two contracts to the same requirements." Keith's note: In summary: NASA does not know if it will have enough money to fund both Boeing and SpaceX, won't tell anyone why or how they made the selections, and gave Boeing $1.6 billion more than they gave to SpaceX to do the same work assigned to SpaceX. Just the sort of questions Congress will be asking. CCtCap: Is Boeing More Expensive or is SpaceX Just Cheaper? By Keith Cowing on September 16, 2014 7:46 PM. "NASA awarded a total of $6.8 billion in contracts with Boeing getting the larger share, $4.2 billion and SpaceX getting $2.6 billion for doing what appears the same work. NASA's Commercial Crew Program Manager Kathy Lueders was asked several times by reporters why the difference in the funding allocation but only said it was based on the price submitted by the companies in their proposals." By Keith Cowing on September 16, 2014 4:05 PM. "NASA will make a major announcement today at 4 p.m. EDT regarding the return of human spaceflight launches to the United States. The agency will make the announcement during a news conference from NASA's Kennedy Space Center in Florida. The event will be broadcast live on NASA Television and the agency's website." Keith's note: Moments ago Sen. Bill Nelson was on CNN. When asked what the NASA decision to give commercial crew awards to "Boeing and SpaceX" means, he confirmed that awards were being given to "these two companies". "Boeing Co. (BA) and Elon Musk's Space Exploration Technologies Corp. will share a multibillion-dollar federal contract to help restart U.S. manned spaceflights and reduce reliance on Russian rockets, a congressional leader said. The two companies will split the award being unveiled by the National Aeronautics and Space Administration later today, said Representative Eddie Bernice Johnson of Texas, the senior Democrat on the U.S. House Science Committee. 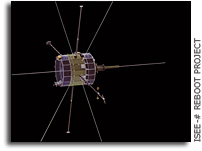 NASA is planning an announcement on the program at 4 p.m. in Washington." Keith's note: It is official: Boeing will get $4.2 billion, SpaceX $2.6 billion. "While Boeing and SpaceX handle the task of taking our astronauts to the space station, the scientists on Earth and astronauts on the orbiting ISS National Laboratory will continue the groundbreaking research that has been taking place there for almost 14 years now without interruption. They will be able to add to that portfolio with an expanded crew made possible by the arrival of these new spacecraft." Continue reading NASA Commercial Crew Announcement: Boeing and SpaceX. By Marc Boucher on September 16, 2014 2:59 AM. "The Federal Aviation Administration (FAA) Office of Commercial Space Transportation (AST) today released its first Recommended Practices for Human Space Flight Occupant Safety document today during the Commercial Space Transportation Advisory Committee (COMSTAC) meeting. From the introduction: "The purpose of this document is to provide a compilation of practices that the Federal Aviation Administration (FAA) Office of Commercial Space Transportation (AST) believes are important and recommends for commercial human space flight occupant safety. The document is intended to enable a dialogue among, and perhaps consensus of, government, industry, and academia on practices that will support the continuous improvement of the safety of launch and reentry vehicles designed to carry humans." By Keith Cowing on September 15, 2014 11:16 PM. "The long-secretive space ambitions of Jeff Bezos, founder and chief executive of Amazon.com Inc., suddenly are about to get a lot more public. Blue Origin LLC, the space-exploration startup Mr. Bezos has been quietly toiling over for years, is part of a team led by Boeing Co. that is expected to soon garner a NASA contract to ferry astronauts to and from the international space station, according to people familiar with the matter. The role played in Boeing's bid by Washington-state based Blue Origin, which describes its goal as "developing technologies to enable private human access to space at dramatically lower cost and increased reliability," hasn't been disclosed previously." "Boeing Co. appears positioned to beat out two smaller rivals for the bulk of a multibillion-dollar NASA contract to ferry astronauts to and from orbit, according to government and aerospace-industry officials. An award to Boeing would represent a victory over the newer Space Exploration Technologies Corp., or SpaceX, which had been considered a favorite in many quarters because of its lower costs and nimbler approach. The decision on the development of space taxis will be a milestone for commercial space endeavors, locking in unparalleled authority for contractors to develop and operate vehicles with limited federal oversight. An announcement is expected as early as Tuesday." Keith's note: Just because something is published in the Wall Street Journal does not mean that it is accurate. The author of these stories has confused two separate stories with each other. Tomorrow's Blue Origin event was scheduled long before NASA even made its CCiCAP decision and would have gone ahead even if NASA had delayed making an announcement - and would have also been made regardless of what NASA will be announcing for CCiCAP. By Marc Boucher on September 15, 2014 7:25 PM. "Some of the items of interest include hearing from Kathy Lueders, NASA's relative new Commercial Crew Program Program Manager, an update from The Honorable Lamar Smith on the Congressional Perspective of the Commercial Space Launch Act, ASTEROIDS Act, and NASA Reauthorization, an update on DARPA's XS-1 and its application to Commercial Space Transportation, and an update from the Department of State regarding the Outer Space Treaty." "With respect to Kathy Lueders speaking it will be interesting to hear why no commercial crew announcement has been made yet. On the other hand this would be a good opportunity for her to speak should an announcement be made beforehand. And with Lamar Smith scheduled to speak only hours after Kathy it will be interesting to hear his point of view on the status of the Commercial Crew Program irregardless of whether an announcement has been made." Marc's note: The second day of the meeting will be webcast. Marc's update: 7:25 PM ET: Twitter reports are circulating that the Commercial Crew announcement will be tomorrow. We have not been able to confirm them. I've also heard there would be two awards which is not what Congress wants. With Lamar Smith speaking shortly after Lueders, this could get interesting. By Keith Cowing on September 15, 2014 5:10 PM. "CASIS has been tasked by Congress and NASA to work with new and non-traditional researchers for the development of products, therapies, and services onboard the ISS U.S. National Laboratory," said CASIS President and Executive Director Gregory H. Johnson. "Our partnership with COBRA PUMA GOLF is an excellent example of a truly non-traditional research investigation taking advantage of the microgravity environment to advance knowledge in applied materials science." In June of 2012, CASIS and CPG signed an initial Memorandum of Agreement ..."
Keith's note: Has CASIS actually published or promoted any of the research results from this ongoing golf in space effort? I have seen zero evidence that it has. CASIS loves to promote these vapid press releases that promise - but never deliver - amazing return on NASA's investment via goofy sports tie-ins - yet they ignore actual commercial research such as that being done by Ardbeg on the ISS. And of course, CASIS is so inept that they cannot figure out how to tell people about the weekly ACTUAL ISS research results that NASA puts out as part of its Spaceline updates. What is baffling is why NASA continues to put up with this inadequate performance by CASIS. By Keith Cowing on September 15, 2014 4:02 PM. "NASA has organized its NEO Program under a single Program Executive who manages a loosely structured conglomerate of research activities that are not well integrated and lack overarching Program oversight, objectives, and established milestones to track progress. 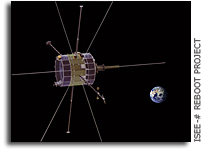 In addition, NASA is undertaking NEO-related activities not managed by the Program and not sufficiently integrated into ongoing Program activities. Furthermore, NASA lacks formal agreements or procedures for NEO-related activities it conducts with other Federal agencies and foreign governments and has not taken advantage of possible partnership opportunities. Consequently, managers could not identify the level of resources required to adequately support the Program or explain how activities to which the NEO Program is contributing further Program goals. Even though the Program has discovered, categorized, and plotted the orbits of more than 11,000 NEOs since 1998, NASA will fall short of meeting the 2005 Authorization Act goal of finding 90 percent of NEOs larger than 140 meters in diameter by 2020." By Keith Cowing on September 15, 2014 11:35 AM. "Spaceship Earth Grants Launches Global Spaceflight Contest - "Spaceship Earth Grants Corp. (SEG), a Public Benefit Corporation, is committed to making the space experience accessible to as many people as possible. SEG offers applicants a chance to travel to space while helping to fund efforts and organizations that are making a significant positive impact on planet Earth. SEG will be providing grants to individuals and organizations that are likewise committed to bettering their communities. 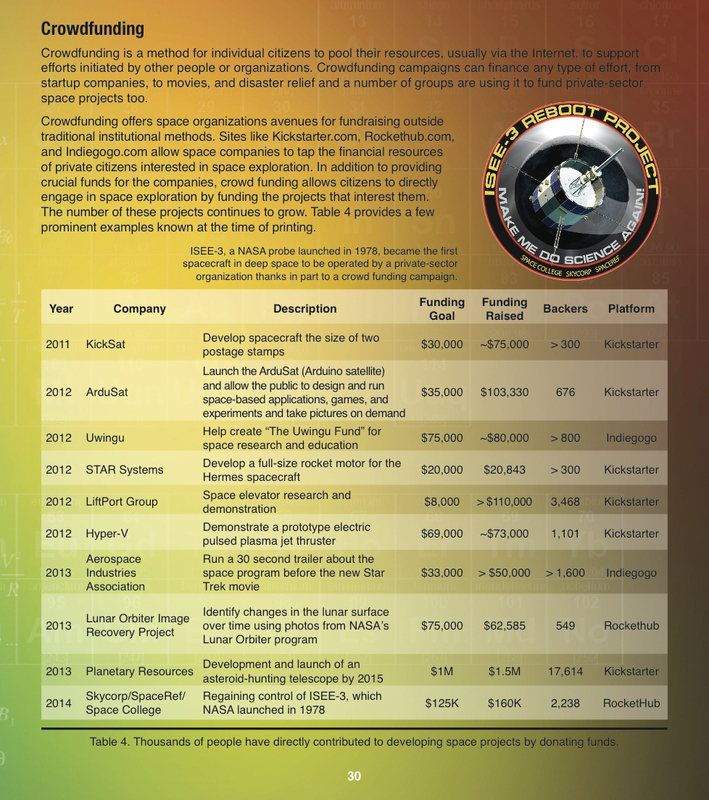 For more information, visit spaceshipearthgrants.com. About Star Harbor Space Training Academy - Star Harbor Space Training Academy will be the first-in-the-world publicly accessible, fully comprehensive and environmentally immersive space training academy. The Star Harbor team is led by CEO Maraia Hoffman and includes former NASA Astronauts Leland Melvin and Ron Garan. More information about Star Harbor will be announced in October." By Marc Boucher on September 14, 2014 2:32 PM. "NASA's Kennedy Space Center (KSC) has released what could be a new regular video feature called Inside KSC. It appears to be a complementary product to the September edition of the KSC Spaceport Magazine." By Keith Cowing on September 12, 2014 8:20 PM. - Potential Impacts: Area of impact primarily poleward of 50 degrees Geomagnetic Latitude. - Radio - HF (high frequency) radio may be intermittent. - Aurora - Aurora may be seen as low as Pennsylvania to Iowa to Oregon." By Keith Cowing on September 11, 2014 11:05 PM. @FCTMike It must be a slow news week if @NASAWatch is re-posting photos of other people's nephews. Little creepy, Keith. Keith's update: The original tweet has apparently been deleted. Indeed, both Twitter accounts - @FCTMike and @JohnathanKim - have apparently been deleted. That is a little strange. That said, you can see what was originally posted. I am not going to post a screen grab. By Keith Cowing on September 11, 2014 9:38 PM. "... That timeline represents a delay from statements Branson made as recently as last month. In an interview with USA Today published Aug. 17, he said he expected to be on that first commercial flight by the end of this year. "I'll be bitterly disappointed if I'm not into space by the end of the year," he said. A Virgin Galactic spokewoman said that, despite Branson's comments, the company has no formal schedule for beginning commercial flights. "As we've stated in the past, the inaugural commercial flight date will be set by safety and readiness," Jessica Gilbert said Sept. 11 via email." 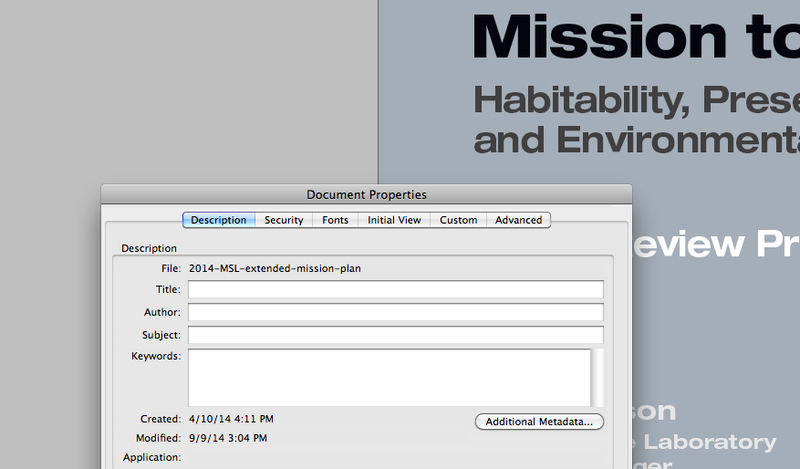 Why Did NASA SMD Sit on This MSL Science Document? By Keith Cowing on September 11, 2014 2:00 PM. Keith's note: Jim Green just made a point of spelling out the URL for this report. He did so rather defensively in an effort to show that there was a science plan in place for MSL. In the process he sought to minimize the comments made by NASA's own NASA Planetary Senior Review Panel Report wherien the MSL science plan was bluntly criticized. If Green thinks that the Review Panel was wrong on their MSL criticism, then does that not call into question everything else they said? If so why did NASA make funding decisions based on the committee's report? Looking at the report there are no ITAR or SBU notations. Of course they were removed - or were they? Looking at the document properties [image] it is clear that this document was created on 10 April 2014 and modified on 9 September 2014. Why is it that NASA only voluntarily releases documents like this to defend their actions but they don't just publish them - for all to see - simply because they are interesting? Why didn't NASA release this document when the review committee report first came out? Why wasn't this report mentioned in yesterday's hearing where Green testified - when this topic came up? Oh yes ... by voluntarily releasing this document NASA SMD has set a new precedent for things that a FOIA request can obtain. They have nulified any "predecisional" claims that they might have once been able to make. Oops. By Keith Cowing on September 11, 2014 9:14 AM. By Keith Cowing on September 10, 2014 11:15 PM. Keith's note: NASA SMD PAO's Dwayne Brown continues to refuse to respond to media inquiries from last month's Mars 2020 media opportunity - despite overtly soliciting such inquiries. Let's see who Dwayne ignores during this briefing - since he's NASA PAO - and I am not. As such I am not going to bother to dial in since it is a waste of my time. More opportunity for others to ask questions. I have had multiple interactions with NASA PAO on this non-response by Dwayne and their lack of response is a de facto endorsement of Dwayne's behavior. So it goes. I'll live tweet the event - with commentary. By Marc Boucher on September 10, 2014 4:48 PM. "The Space Angels Network brought to my attention a new study by Chad Anderson a Managing Director of the Space Angels Network. Chad completed the study while obtaining his MBA at Oxford. The study was finished in 2013 but has only been recently made public." Continue reading New Commercial Moon Study. By Keith Cowing on September 10, 2014 11:00 AM. "The Space Subcommittee today held a hearing to review issues facing planetary exploration of our solar system, including NASA's proposed budget for planetary science, and potential commercial interests. Witnesses also testified on the American Space Technology for Exploring Resource Opportunities In Deep Space (ASTEROIDS) Act, H.R. 5063." By Keith Cowing on September 10, 2014 9:06 AM. Keith's note: Don't expect to see a commercial crew selection announcement this week. Unless things change, of course. By Marc Boucher on September 10, 2014 9:04 AM. "NanoRacks this morning provided an update on the NanoRacks CubeSat Deployers (NRCSD) which had inadvertently deployed thee CubeSats while not deploying others when commanded. The NanRacks team has been able to replicate the problem on the ground which they hope will lead to a solution." By Keith Cowing on September 9, 2014 8:00 PM. "NASA will host a teleconference at 1 p.m. EDT Thursday, Sept. 11, to discuss mission status and the future science campaign for the Mars rover Curiosity mission." "Unfortunately the lead Project Scientist was not present in person for the Senior Review presentation and was only available via phone. Additionally, he was not present for the second round of Curiosity questions from the panel. This left the panel with the impression that the team felt they were too big to fail and that simply having someone show up would suffice. ... As Curiosity is a flagship mission, the panel was surprised by the lack of science in the EM1 proposal ..."
"Specifically, the panel felt that Curiosity's extended mission plan to take only eight samples in the next two years was not efficient and that "this is a poor science return for such a large investment in a flagship mission." The panel also found that "the proposal lacked specific scientific questions to be answered, testable hypotheses, and proposed measurements and assessment of uncertainties and limitations." By Keith Cowing on September 8, 2014 5:56 PM. "NASA's first completed Orion crew module sits atop its service module at the Neil Armstrong Operations and Checkout Facility at Kennedy Space Center in Florida. The crew and service module will be transferred together on Wednesday to another facility for fueling, before moving again for the installation of the launch abort system. At that point, the spacecraft will be complete and ready to stack on top of the Delta IV Heavy rocket that will carry it into space on its first flight in December." By Keith Cowing on September 6, 2014 10:40 PM. 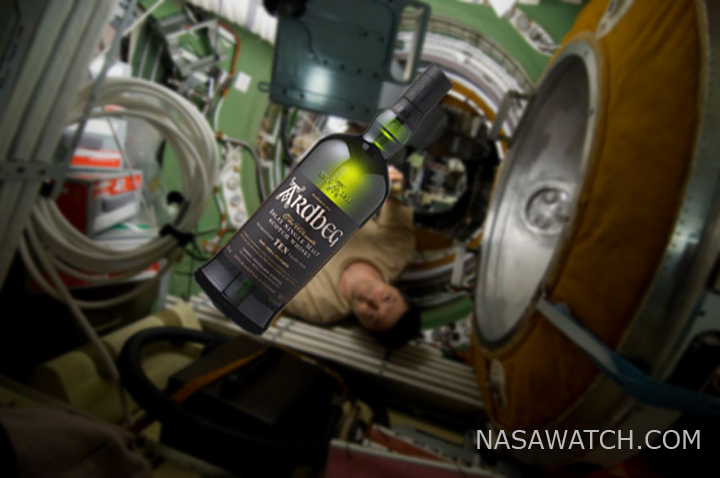 "In 2011, vials of Ardbeg scotch whiskey were sent to the International Space Station as part of an experiment to see how the spirits' maturation process is affected by the near zero gravity of near space. Now it's almost time for a homecoming." Keith's 1 May 2012 note: Obvious jokes not withstanding [Larger view], this is an interesting commercial use of the ISS - if somewhat unconventional - one that has attracted actual private investment (from a high-quality, high-visibility, world-class manufacturer) at a time when NASA's scorecard is rather lacking in this regard. Imagine this: an actual biotech process that is being investigated in the unqiue environment of space with significant commercial backing and promotion. Of course, the NASA ISS National Lab and CASIS folks seem to be totally uninterested in how real commercial space activities happen. A preview of things to come, I am afraid. Oh yes: when I first posted this photoshopped image that I made a few weeks ago people within NASA thought it was real and started to try and figure out how it happend. Oops. By Marc Boucher on September 5, 2014 10:09 AM. "Today: NanoRacks CubeSat Deployers: Additional attempts to launch CubeSats from deployers #4, 7, and 8 were made overnight without success. 24 commands were sent attempting to deploy #4, 30 commands were sent to deployer #7, and 17 deploy commands were sent to deployer #8. Ground Teams are continuing to assess the issue and are working on a forward plan." "Today: NanoRacks Inadvertent Deploy: On Saturday, ground teams observed the inadvertent deploy of two Cosmogia CubeSats from Deployer #5 of the NanoRack Cubesat Deployer (NRCSD). The ISS was still in the deploy attitude and the Japanese Experiment Module (JEM) Remote Manipulator System (JEMRMS) was still positioned for the deployment. No issues have been identified with the deployment trajectory, the CubeSats or the ISS. Ground teams are investigating the probable cause and discussing future operations with the NRCSD and CubeSats remaining in the deployer." Update: The September 5th ISS status report details another "inadvertent deploy" from the #7 launcher door. By Marc Boucher on September 4, 2014 12:55 PM. "Seeking to "jumpstart" the on-orbit robotic satellite servicing concept, DARPA has issued a request for information (RFI) for companies to submit ideas to enable a flight demonstration within the next five years." Continue reading DARPA Next Step for Robotic On-Orbit Servicing. By Keith Cowing on September 3, 2014 3:50 PM. "After the presentation and subsequent discussion within the panel during executive session, other questions were formulated and then presented to the Curiosity team. Unfortunately the lead Project Scientist was not present in person for the Senior Review presentation and was only available via phone. Additionally, he was not present for the second round of Curiosity questions from the panel. This left the panel with the impression that the team felt they were too big to fail and that simply having someone show up would suffice. ... As Curiosity is a flagship mission, the panel was surprised by the lack of science in the EM1 proposal (the Overguide budget would support greater roving distance over samples analyzed, with only a promise of a maximum of eight analyses throughout EM1)." "There should always be one Senior Review panel - not two that meet at separate times as there was in 2014. 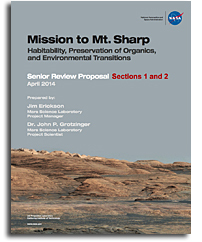 The Senior Review is for the Planetary Science Division, not the Mars Program and then everyone else. Having one panel assures that ALL missions are treated equally and fairly." By Marc Boucher on September 1, 2014 5:26 PM. "On August 27, 2014, former NASA astronaut Garrett Reisman participated in the Future In-Space Operations (FISO) teleconference. Now the DragonRider Program Manager for SpaceX, Reisman presented a slide show on SpaceX commercial spaceflight."